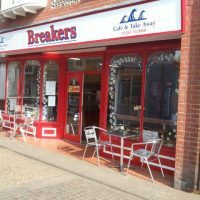 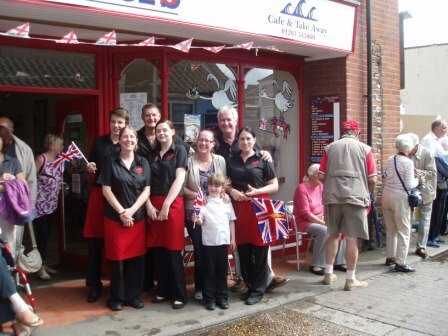 We are a popular, lively, friendly cafe in the centre of Cromer, in busy Garden Street leading directly to the beach and pier. 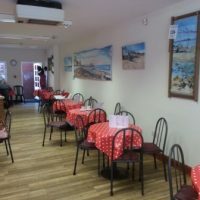 In a relaxed atmosphere we serve non-fussy, great-tasting food – all day breakfast, lunch and early dinner, with a selection of homemade “specials” and an assorted range of cakes, scones, and cookies all homemade by proprieter, Ema Rowlands and her staff. 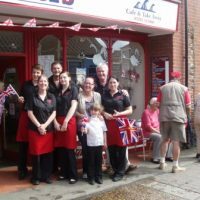 We are open from 8.30am every day of the year, except Christmas Day. 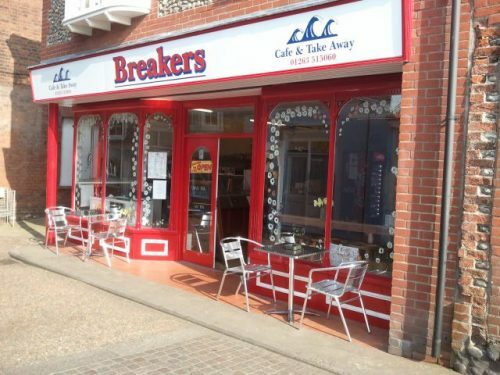 We close at different times depending on the time of year – in the winter in mid-afternoon when it gets dark, but in the height of the summer when the town is packed with visitors and holidaymakers are often open until about 8.00pm. 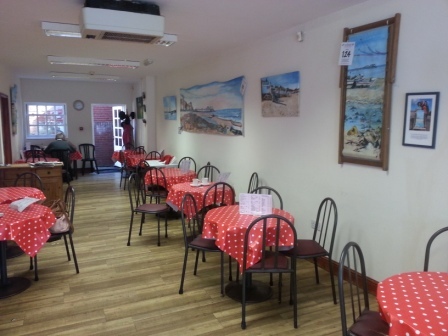 Inside we can seat approximately 50 customers, and have a small outdoor seating area at both the front and the rear of the café.